Liverpool are monitoring Ghana international Frank Acheampong, according to the rumours in British Media. Acheampong signed for the Belgian champions R.S.C. Anderlecht from Buriram United (Thai League) for a fee of around 1 million euro in 2013. Since his arrival, Accra born winger scored 11 goals in 98 games for R.S.C. Anderlecht. Liverpool manager Jurgen Klopp is a big fan of 168 sm tall winger and he has sent scouts to watch Frank Acheampong several times this season. Ghana international has been in fine form of the Belgians this season and he can also operate as left back. The 23 yaer-old is under contract until 2019 and could be perfect replacement for Sadio Mane, who will miss around six weeks on African Cup of Nations with Senegal national team. 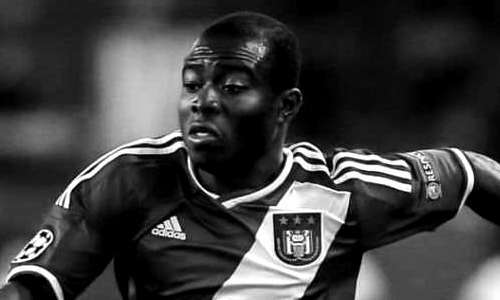 Euro Football Rumours understands that Liverpool could offer in a region of 7.2 million euros for Acheampong’s services in January transfer window.